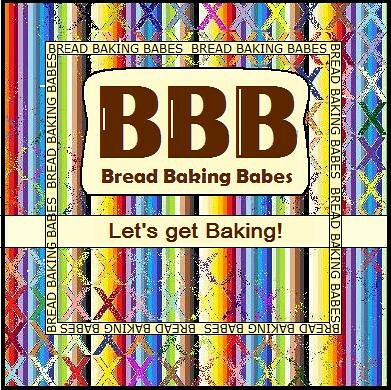 Kitchen activities are reduced to a minimum at the moment as is my allotted pc-time. The kids are claiming our one and only computer for their papers. Son nr. 2 has chosen Donald Duck (the magazine) as his subject and son nr. 3 is writing his memoires on camping. Great excuse to browse our photo-albums and trying to remember all the fun things we did. I was amazed and quite pleased to hear how much son nr. 1 still remembered from our trip to the States. He was only three years old (almost four) at the time but still vividly recalled some of the sights and activities. 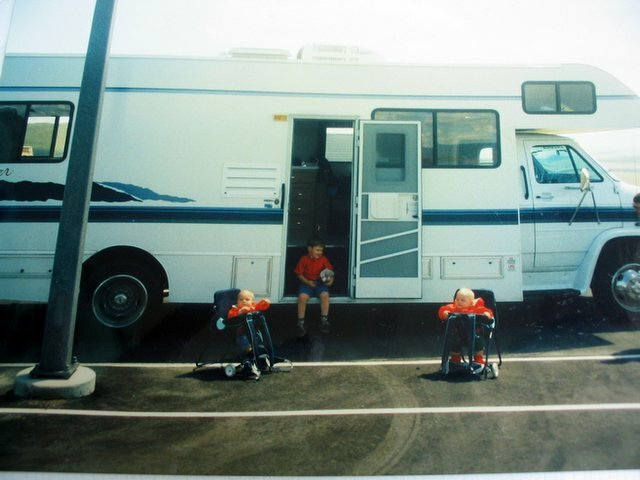 This is a picture of the mega-structure RV we rented on our second trip, the twins just celebrated their first birthday and we took my parents with us, so there were 7 of us. Son nr. 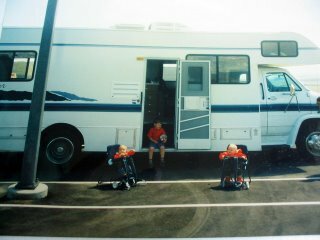 3 used this picture to show he had been to America and travelled in a real "camper" (as we call them in the Netherlands). This really is a trip down memory lane for me. We used the back-carriers for the kids to feed them in, as a high chair and the wheels were ideal to roll the kids in and out the plane and airports. We had lots of people ooh and aah. They were on our backs during hikes and once I almost toppled over when I tried to feel the water temperature of a lake .... bent over, forgot all about the little one on my back and he almost slid out of his chair into the water.... Luckily he was strapped in! I'd love to see more pictures from this trip. I did the same thing bending down. Our boys don't know how lucky they are. Any trip is an adventure with little ones! What terrific memories. Certainly glad you got a few minutes on the computer to post this wonderful memory!! Tell us more.